This experience is deep, transformative, and powerful. All of our resistances are held in the mind. When they are 'erased' or removed, we can at once feel joy and rejuvenation. Also residing in the deep recesses of our mind is the emotional body. 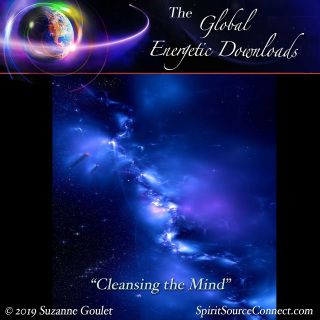 During the later part of the download, our emotional body is cleansed as well, leaving us free from old anger and hurts and, more importantly, resentments. 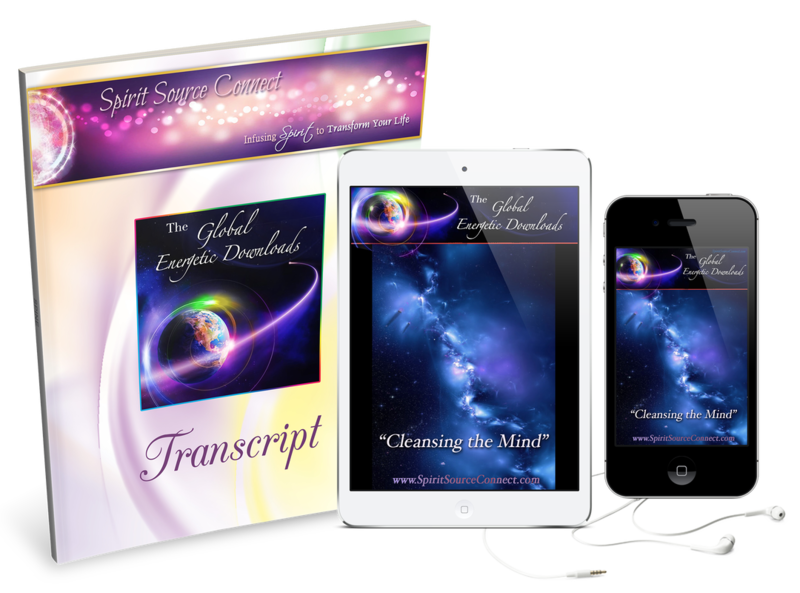 ​The experience of this energetic download is both loving and kind and yet powerfully effective in cleansing the mind. 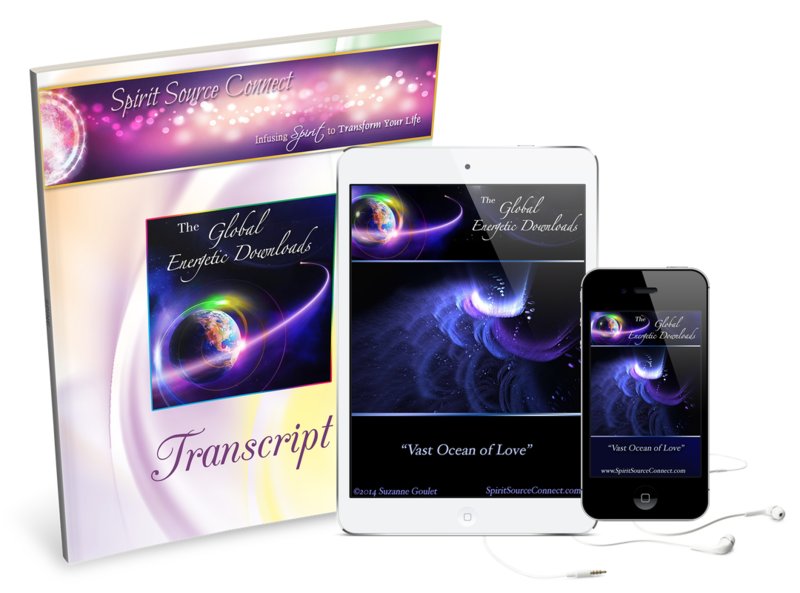 The "Vast Ocean of Love" is a gentle journey that supports you in releasing any current dramas that you are engaged in. 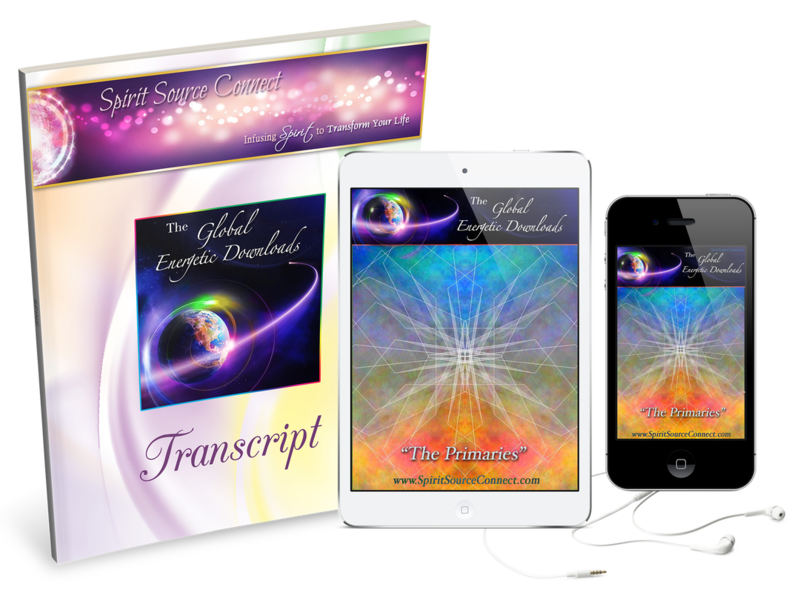 Connect with a loving Guide that will assist you in receiving more Divine Light from above. Access a Source that can deliver to you transmission, information, or the Divine Love you seek. Allow all your cares, deep worries, and fears to be washed away by the Vast Ocean of Love, there to take them from you. Did you know that the God-Source Energy is simply Divine Love and Light? Are you aware that your endeavors will incur greater successes when you actively give and receive this Love and Light? Be transported through this audio journey with Spirit and enliven your capacity to give and receive. Be relaxed as you become replenished with Source Love, and fulfill your own desires energetically. Learn how giving more is not "too much," but instead sets you up to receive better. A beautiful explanation of how the little children in our lives are such gifts to behold. Not only do they carry a great deal of light, they are also reflecting our own! Experience the beautiful reminder of our own love, and the love around us. Understand more clearly how the little children around us are simply shards of light. Recognize and appreciate your own light within. 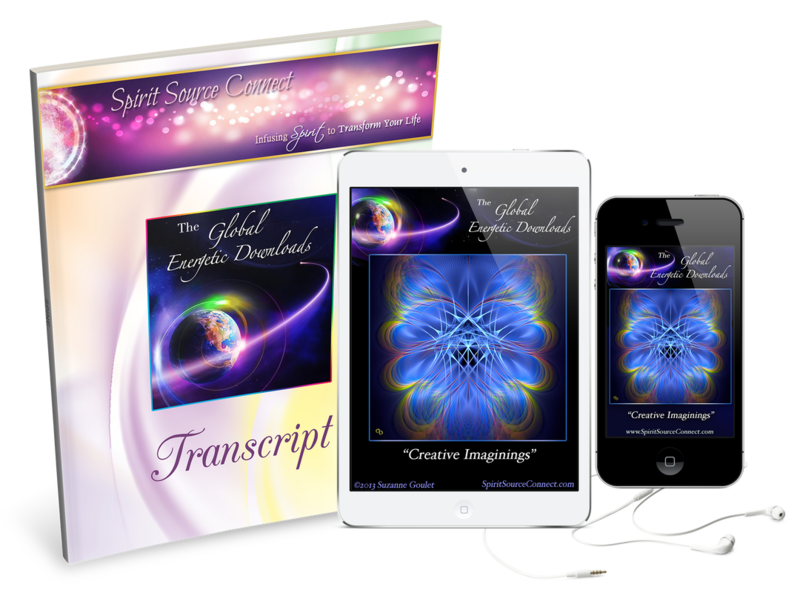 Beautifully mastered for your inspirational, inspiring, and active journey. By journeying through a pathway to our soul, we come to a place of receiving exactly what it is our soul desires for us in our lives. Experience a highly visual journey to carry you through this reception. Listen daily and begin to see these very forms show up in your life. When we activate our imaginations, like we used to do as children, we are reminded of our power to create. Be brought through a journey of remembering your imagination. Transport yourself into the memory bank of all creation. Take control of what you are experiencing in your life, by imagining what you want. This audio CD helps you through a journey of forgiveness, using the power of Source to assist you on this highly transformational journey. Although we may have thoughts that cling to anger or resentment, we can shift them. By following the guided visualizations, you will be connected to a Higher Source to assist you in forgiving all. Obtain peace and liberation that you can extend throughout your life and community. Within can be found—a beautiful music track, guidance from above, and a transformational journey. This transformational audio takes you through understandings and several journeys to utilize the Source energies you already hold within. Learn how your own body is fueled by Source energies. Understand all your potentials for creating what you want in your life. Be guided through being able to hear and follow your own inner guidance. This polished CD comes with three tracks, including enlivening music for sound energetic transformation from Source. 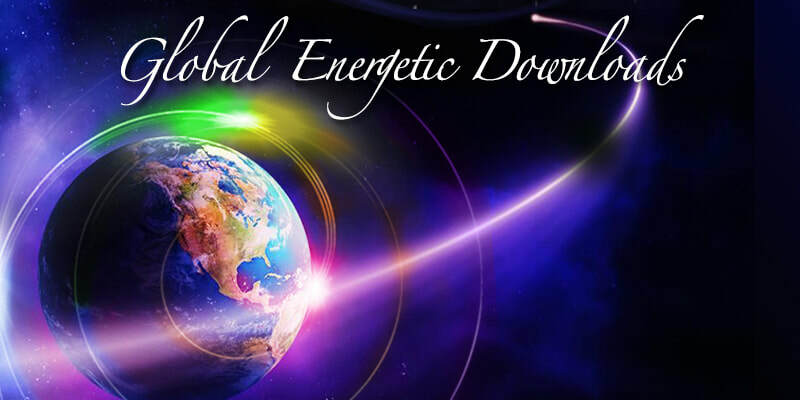 ​A wonderful CD that instructs and gently guides you into receiving pure Source energies so that you may be enlivened and rejuvenated once again. Learn why knowledge of our ability to receive is so important. Understand where your greatest source of consistent replenishment can be found. Establish a practice that you may continue to revisit any time you need replenishment and nourishment. 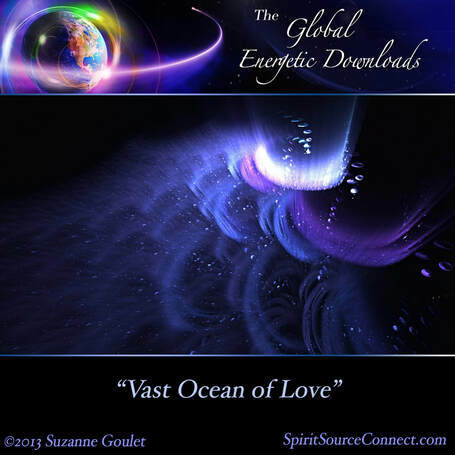 This polished CD comes with three tracks, including music and effects for a sound meditation. ​Discover that within you resides a Multi-colored Ray of Light, holding within it all the solutions to what you seek. Learn how you can access this light. Find solutions to problems you have been trying to fix. Learn how to let go of what you have learned before, to discover new insights and perspective. 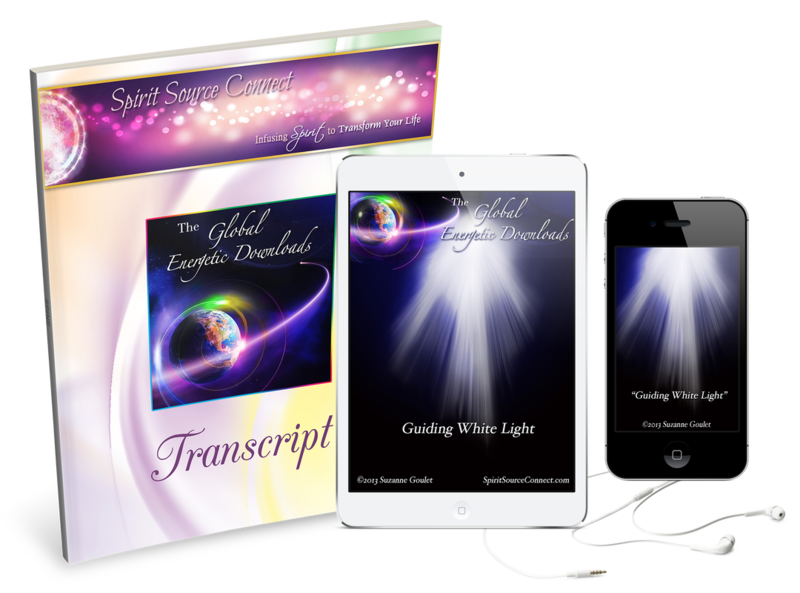 ​Receive a constant and full big wash of Divine White Guiding Light to fall over you and wash away any residues of your past that may be holding you back. Know that you are always divinely guided and supported. See clearly the steps on your path that are right in front of you. ​This very calming and rejuvenating 30-minute meditation and energetic download includes all the major Color Rays being received by each of your major chakras. 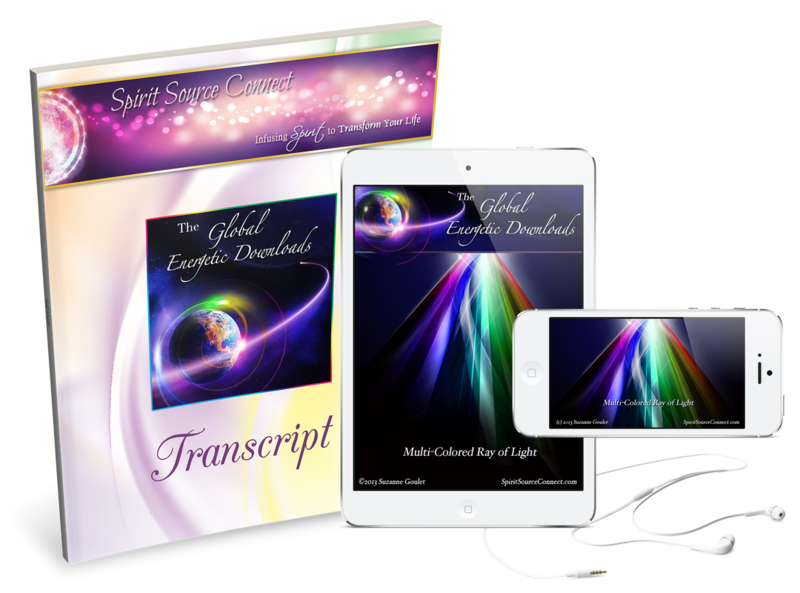 Together with the energetic portion, there is a description of how to use each color and what benefits it will bring to your life. Lively and transformational—learn how to call on any Color Ray for any part of your life— your body, your mental health, or your emotional state. ​"And for those of you who have a sincere and willing heart, we offer you healing and transformation." This live energetic download and mediation is specifically geared toward the physical healing of the body. With the acceptance of the Green Ray, tension, stress, and dis-ease in our bodies are relaxed, and the body is restored to its normal cellular function. "I thank you from the bottom of my heart. Every time I listen to the CDs I continue to feel blessed, uplifted, and energized."